Free Next-Day delivery on all UK orders placed before 4pm. Please see our delivery policy for full details. Return your order free of charge up to 365 days after purchase. Please note, all returns must be unworn and in original condition with original packaging. Please see our returns policy for full details. 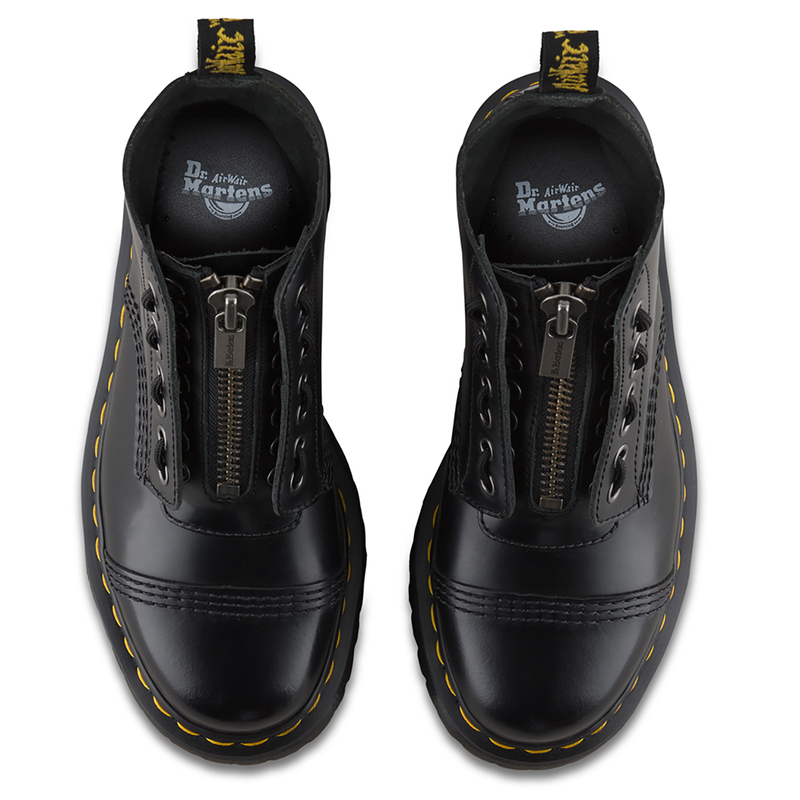 Dr Martens have a remarkable history of walking hand in hand, head held high with rebellion and music. Ever since the 1960’s, they have been a key component of the image of youth sub-culture. Dr Martens were born out of the concept of being different and rebelling against the norms of society. Originally a brand for sturdy workmen boots in the early 20th century, Dr Martens took footwear to a new level. The brand was soon not only a solid popular choice for the working class in a practical sense, but was joined by the British sub-cultures of Ska, Punk, Rock, Britpop and many more. 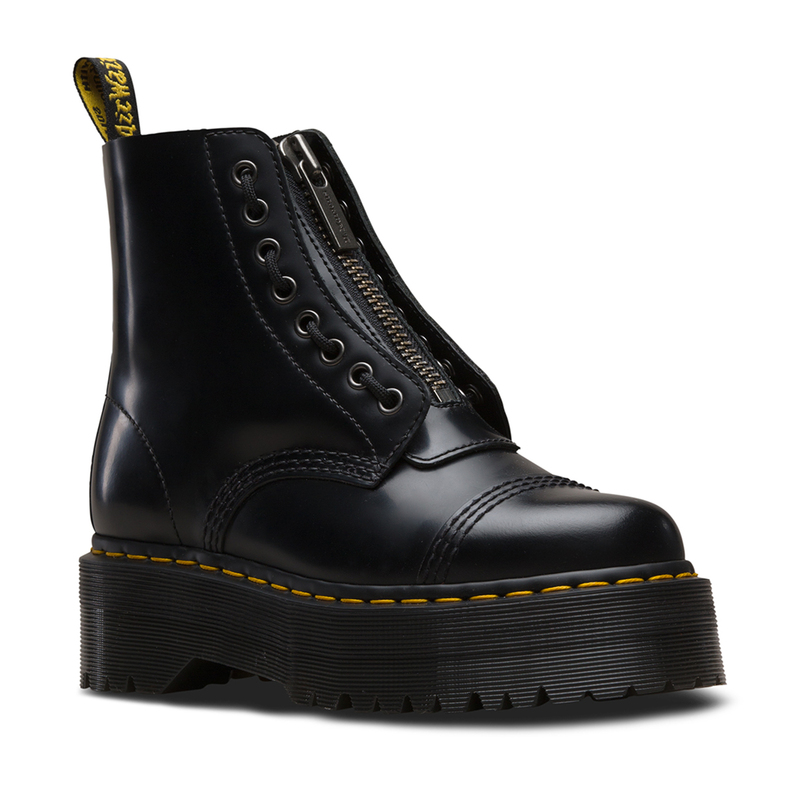 The amazing thing about Dr Martens’ boots is their versatility, despite being the ultimate in hard wearing footwear; their women’s ranges always manage to maintain a softer feminine touch. 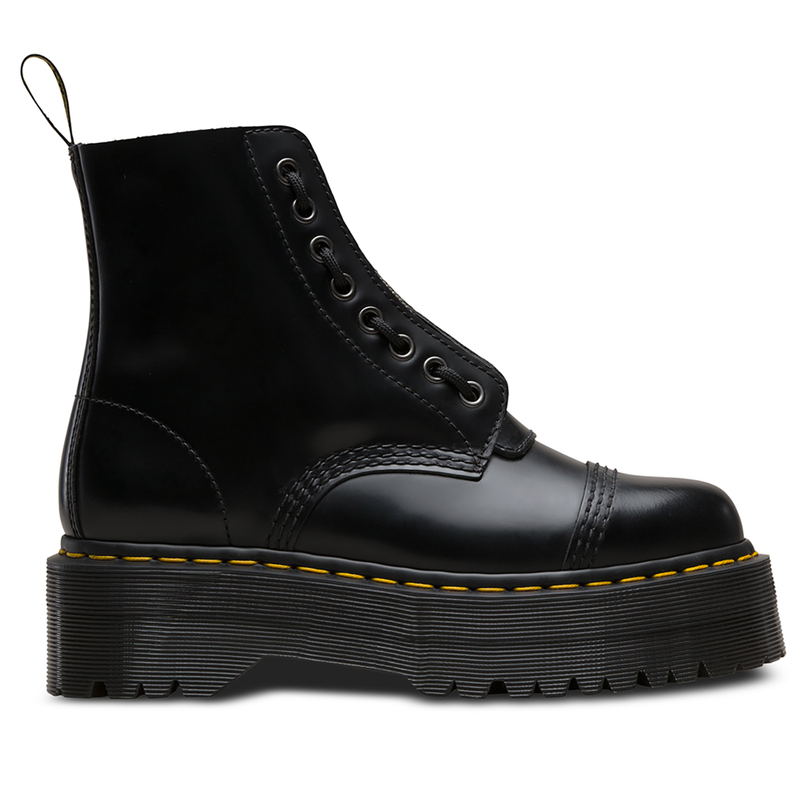 Dr Martens have commonly been subject to further self-expression from the public, often worn with the quarters flapping open, deliberately unpolished and scuffed; or perhaps laced rigidly and precisely, with a military sheen on the toe. 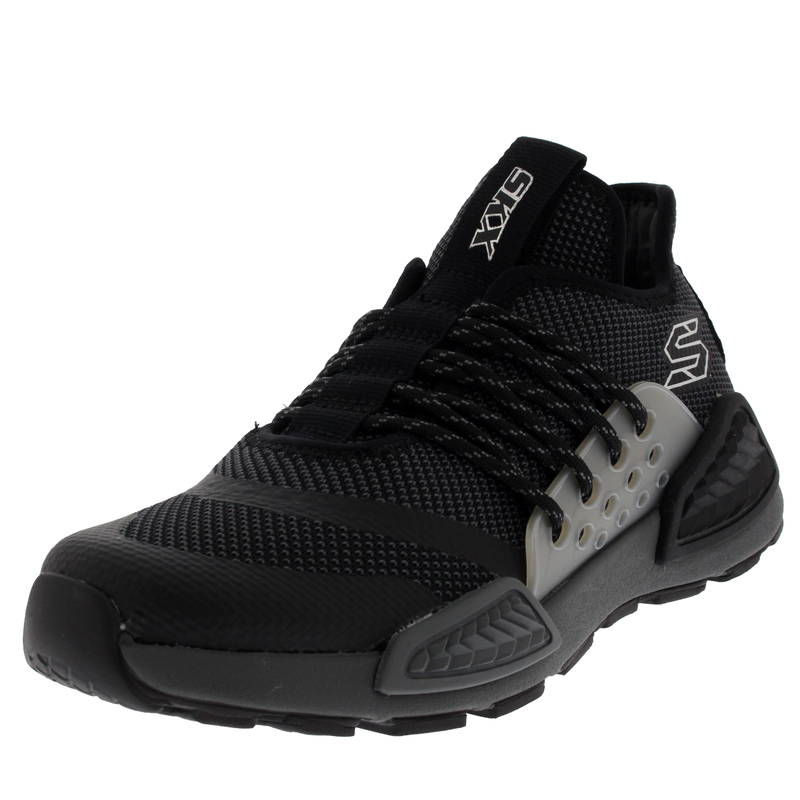 Maybe left plain or else customised individually to suit the wearer. Whatever the choice, Dr Martens were born to be worn proudly as a trademark of the wearer’s individuality.